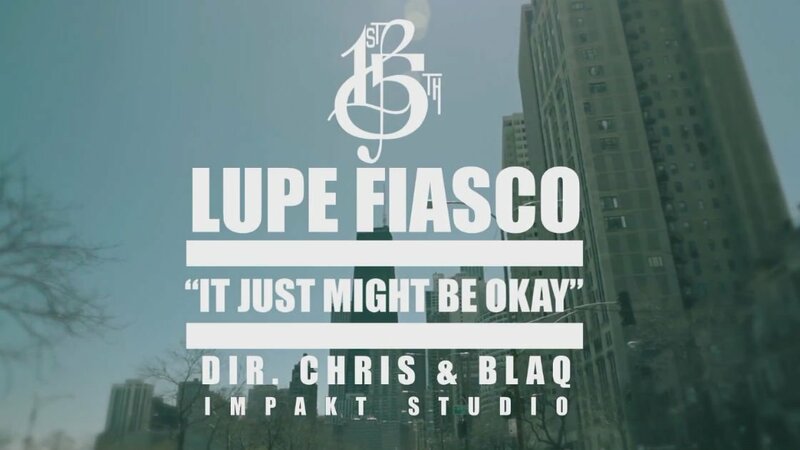 Lupe Fiasco shoots us back to 2006 with the release of his latest video "Just Might Be OK." The track, which features Chicago rapper / singer Gemini, appeared on his critically acclaimed debut album Lupe Fiasco's Food & Liquor. Some might say that the Chi-town rapper is 9 years late with the visuals but he may be just on time. With the deaths of many unarmed black youths in recent years, and specifically Freddie Gray's recent passing, the song delivers a message of hope during these turbulent times. Gemini sings in the hook, "We just might be OK, after all / Sun gone shine, on this day." The video features various shots of the inner city of West side Chicago, Lupe's hometown. It ends with video footage from the Baltimore riots and protests that were a response to the tragic death of Freddie Gray. For more music, news, videos, and tour dates from Lupe Fiasco, visit his Zumic artist page. Tickets Hip Hop Mid-West Rap Lupe Fiasco Anaheim, CA Athens, GA Boston, MA Chicago, IL Cleveland, OH Dallas, TX Denver, CO Garden City, ID Houston, TX Indianapolis, IN Milwaukee, WI New Orleans, LA New York, NY Salt Lake City, UT Washington D.C.